It’s back to school time, which means most of you will need coffee to fuel the chaos of school, work and whatever life throws at you. Here’s your chance to fuel up with a fun giveaway. 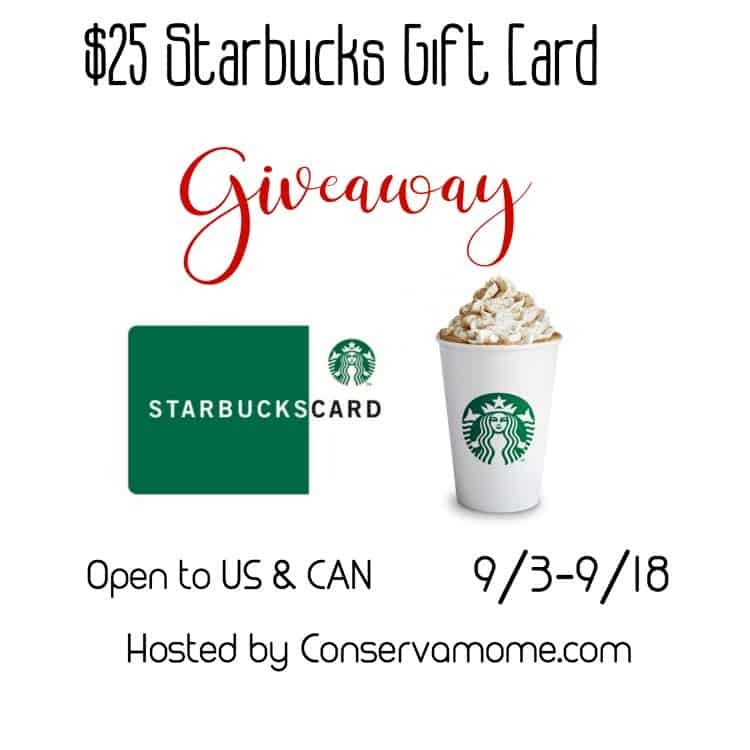 Enter to win a $25 Starbucks gift card. To enter head below! This giveaway is open to US & CAN and ends on 9/18 at 11:59pm EST. Must be 18+ to enter. Good luck! I start my day with lemon water followed be coffee, coffee, and more coffee! Coffee of course! If I don’t have my morning cup of coffee I cannot function. I make myself a Chai Tea Latte every morning to start my day. coffee gets my day started. gotta have my coffee to really get going! I usually have coffee and water. What drink gets me started is water – unfortunately. If I start with tea which is what I desperately want I don’t drink enough water all day… it’s evil but that’s the way it goes. A big glass of water then tea… blessed caffeine… the goddess of my day.